The Galaxy S5 looks pretty similar to the Galaxy S4 at first glance, but there are lots of improvements that have been made to it which makes it a sure shot contender for this list. One of the best features of this handset is its awesomely bright and colourful display, water-resistant design and improved battery life. Here are a few other features of S5 which make this phone completely irresistible - It has a screen size of 5.10 inches, a faster 16-megapixel camera with real-time HDR capability & the front camera is 2.1- megapixel, a resolution of 1080x1920 display powered by 1.9GHz processor alongside 2GB RAM, a battery capacity of 7,500mAh and an inbuilt storage of 16GB, extendable up to 128GB! 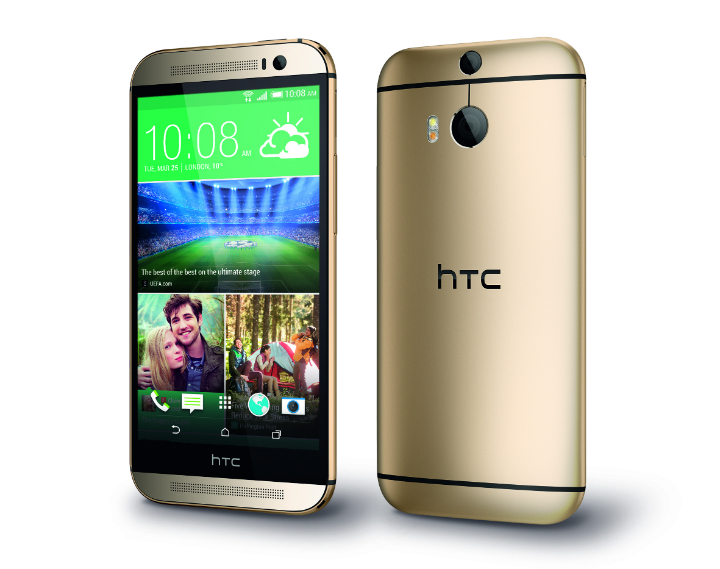 The HTC One M8 is one of most amazing Android phone ever! Its features include a 5-inch full HD display and a fast new Snapdragon 801 processor into a sleek metal body. It is a photographer’s delight due to its dual-lens camera, which lets you focus on the foreground or background after you shoot. One M8's staying power is one of its most appealing features. A stronger 2,600 mAh battery allows this flagship to last nearly 10 hours on a charge. Improvements to HTC's BlinkFeed software and nifty new unlock gestures solidify the One M8 as one of the best phones of the year and in our list of the top five! 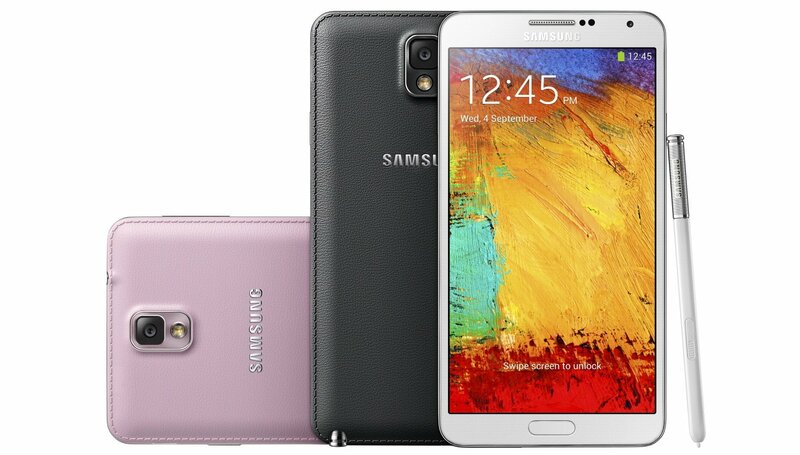 The Galaxy Note 3 is extremely powerful & long lasting, offering more than 10 hours of battery life. Its features include a big and bright 5.7-inch display. You can also take notes effortlessly using the built-in S Pen. Note 3 is also a master in multitasking, all due to its blazing Snapdragon 800 processor. You can run two apps side by side and drag content between apps with the Multi Window feature that Samsung has. You can even run a third app on top of all that with the Pen Window feature! The Note 3 comes with a 3200-mAh battery of Li -ion .These features definitely make the Note 3 note worthy of appearing in this list! iPhone 5s doesn't seem much different from its predecessor. However, the A7 chip inside this sleek beast blows the doors off of most Android phones. Also there are a growing number of games and apps that take advantage of its 64-bit architecture. 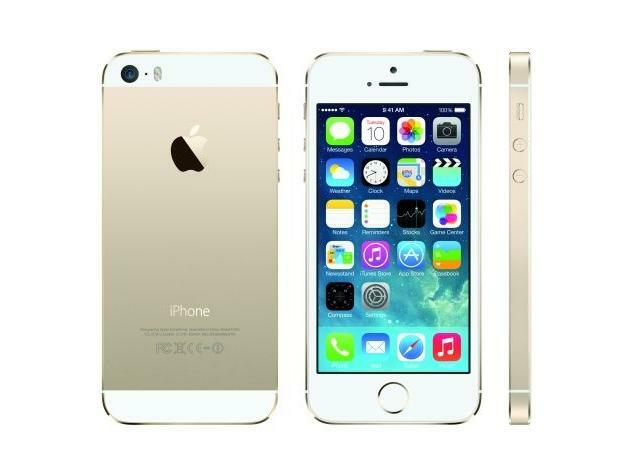 Another amazing feature is iPhone 5s amazing i Sight camera with larger pixels and a dual-LED flash, this 8-megapixel smartphone captures fantastic photos both indoors as well as outdoors. The phone has a battery life of Li-Po 1440 mAh. It has a TouchID sensor that makes it a cinch to unlock your phone and make purchases; clearly these reasons should be enough to make this amazing phone an entrant in this list. The Moto X`s greatest & its best feature is unleashed when you give it any command! It can be operated to a great extent just by your voice commands! The secret is the Moto X's dedicated natural language processor. This smartphone wows in other multiple ways. Here are a few points how, it includes the ability to customize your own design online, and it has an eye-popping 4.7-inch HD screen! Moto X has a battery life of 2200mAh. Also the active notifications deliver alerts before you even unlock the phone. If these aren’t enough reason for it to make it in our top five list then what is? The most frustrating thing about owning a smartphone is the battery always draining out. Since the above mentioned phones have larger screens, they tend to get discharged at the drop of a hat leaving you in a fix of hunting plug points and charging locations. But this was the scenario in the past because now there are Ravin’s Power Banks to save the day. If you are someone who is always on the go then Power Bank PB – 052 is a must own for you. It is sleek, trendy and at par with your super stylish smartphone. This power bank has a digital display that shows the percentage of charge available on the device. The best feature about PB – 052 is that it has 2 USB ports, enabling you to charge two devices at the same time. In just 6 hours of charging, this device can charge your Smartphone up to 3 times. Look no further and grab this light weight and elegant Power Bank. If you are more into eco-friendly products then Solar Charger SC – 018 is the best device for you. There will be situations when there will be no electricity to charge your phone and that is when the SC – 018 will come to your rescue. This charger is for the adventurous person in you and is an ideal companion for vacations and outdoor trips. The battery capacity of SC – 018 is 1850 mAh and can charge your Smartphone up to 1.5 times. Make your life simpler with nature’s infinite energy – Sunlight.